It was already big, and like a Marvel crossover event, it just got bigger. Unlike a Marvel crossover event, however, Illusive Comics & Games actually stuck to their schedule. 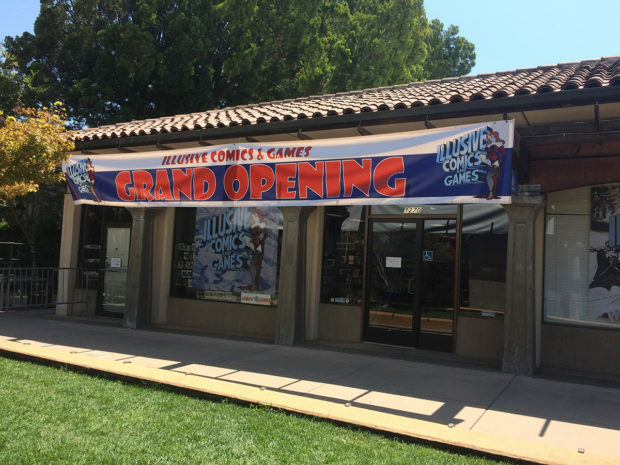 Shutting down for only Friday, August 5, the Bay Area’s Best Comic Book Store (according to the Bay Area A List for 2015 and 2016) has relocated from 2725 El Camino Real in Santa Clara to 1270 Franklin Mall, still in Santa Clara, just a couple of blocks away from Santa Clara University and only a couple of steps away from the U.S. Post Office (in case you want to mail comics to a loved one). 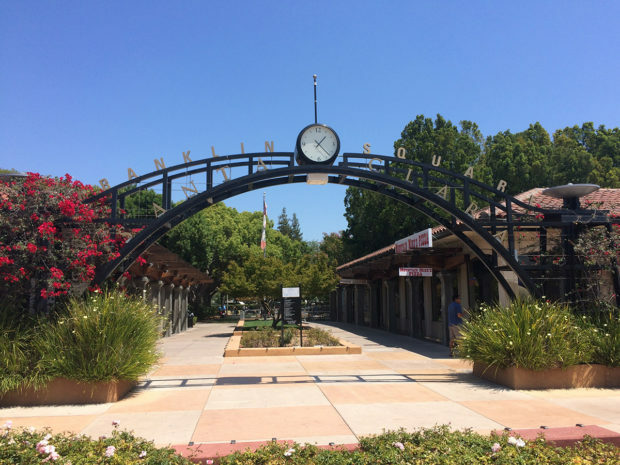 And yes, they’re smack dab by the entrance to the Franklin Mall, a beautiful open-air shopping area built in the 1960s. To think, I used to get my birthday cakes there at the now long-gone Wilson’s Bakery, and now I’m getting my comics there. 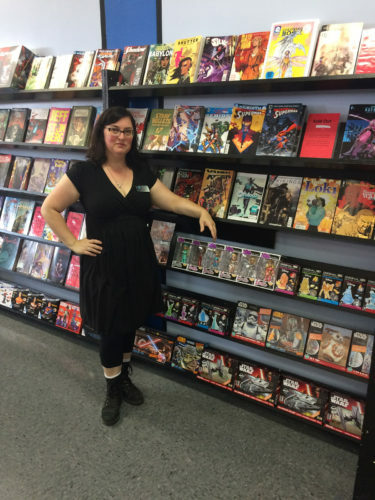 Store owner Anna Warren Cebrian by the new comics wall. 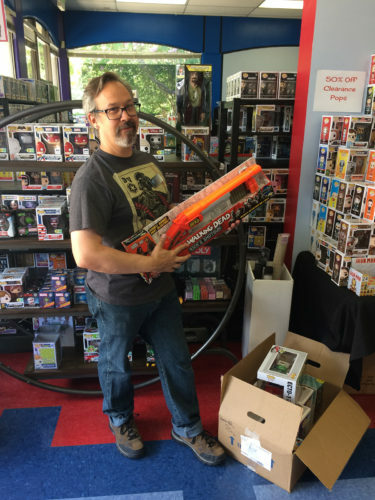 Store owner Mark Anthony Masterson can’t wait to finish unpacking all the toys. 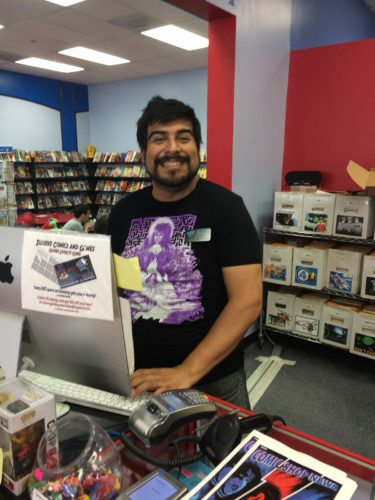 Erik Torres took time away from Isle of Gamers to pitch in and run the counter this weekend, while also making everyone jealous with his Labyrinth t-shirt. 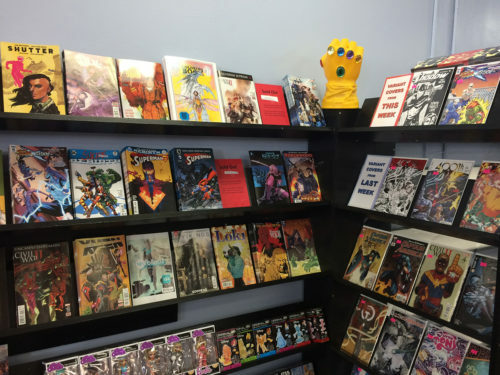 Now Illusive Comics & Games is in a prime location for both loyal customers and the local community. With plenty of lawn space and benches around the store, you can get your comics and read in the sunshine. There are also plenty of restaurants surrounding the store — Mountain Mike’s Pizza is right next door, but there’s also a Pho restaurant, a Thai restaurant, Toppings Tree (a Filipino restaurant), a couple of coffee houses, and, as is now required by federal law, a Subway. And you know what else? It’s pretty easy to drive down Washington and Bascom to then get to our favorite hangout, 7 Stars Bar & Grill. 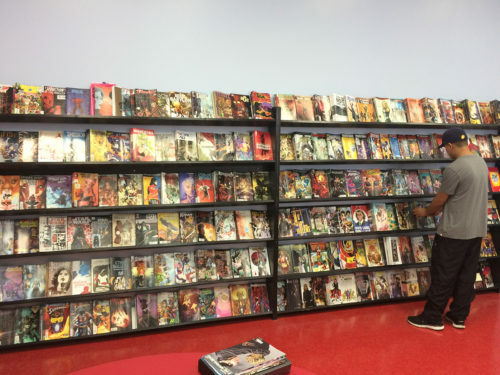 I’ve come to believe that a good comics shop is one that builds a community around it, and Illusive’s new location will only feed that feeling. On Saturday mornings, the adjacent street is closed off for a Farmer’s Market, with live music and a stage for community events. But of course, Anna and Mark at Illusive will likely be hosting many events of their own. Check out the new space — and, as always, tell them Fanboy Planet sent you.